The Vospers Motability experience represents decades of providing cars, adaptations, customer care, support, and servicing for our customers. 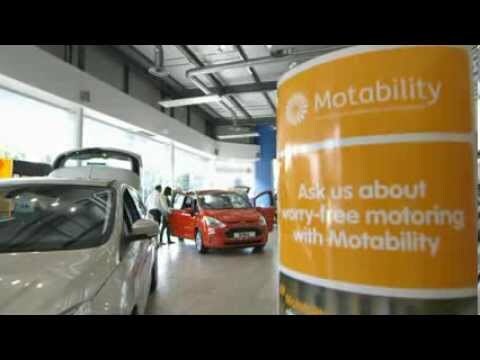 The Motability scheme is simple. Your specific requirements however, are the most important factors to the Vospers Motability experience. Initially, we would like to hear about your specific feelings, what you need, what you want, and your past experiences with different vehicles. This is a great opportunity for you to get to know us, and for us to learn about any details that act as factors to our recommendation. We believe the Vospers Motability experience should remain stress-free throughout. So, if you would like to start your exploration into a new vehicle via Telephone, Video, at your home, or somewhere else, we will do our utmost to make you feel at ease. Once we have explored your individual needs and requirements, we will recommend a tailored solution. This will include a vehicle and any adaptations we consider essential. Your Vospers Motability expert's recommendation is selected from a selection of over 4,000 cars from 11 brands. So there is no agenda to push a specific model, or brand. The Vospers Motability Experience is All About You. So throughout the selection process, we will continue our conversation to make sure we recommend something you would like to drive. The Vospers Motability consultation is inclusive. There is a huge selection of cars that do not require any Advance Payment, but some do. We will guide you through each option. Keeping your decision stress-free.